damaging the skin, therefore with a limited downtime. 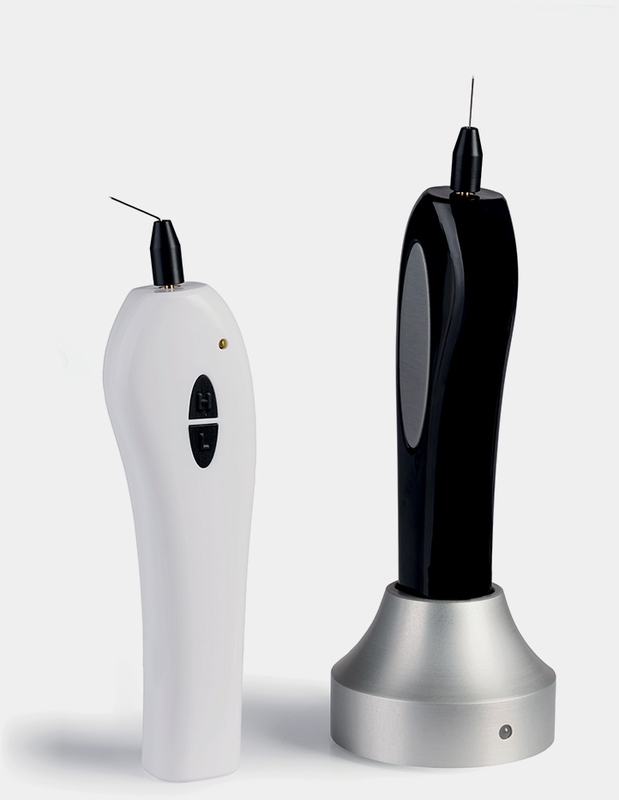 Plasma IQ is a simple device to be used in dermatology, plastic surgery and aesthetic medicine. Plasma is created between the edge of the tip of the device and patient’s skin thanks to a small curve, which, in a controlled way is able to sublimate epidermis resulting in skin shrinking and lift. The treatment is selective with no damage on the surrounding tissues. During the treatment, Plasma IQ is not connected to any plug, therefore the treatment can be performed on patients who are normally not suitable to be treated with current flows. Wireless device. It facilitates the manoeuvring of the treatment device and ensures maximum comfort of use. Do not require anaesthesia, safe for patients with pacemakers and other patients that cannot undergo treatments with current flow. Non-invasive: recommended for patients that do not want to undergo surgery(blepharoplasty). Precise: plasma microbeam is work only on epidermis layer, without damaging the skin. Giving immediate effects: results and improvements are visible just after the first treatment. Convenient: do not require resigning from everyday activities. Plasma IQ allows to eliminate first signs of aging and restore young look, giving the effects after the first treatment. It works only on the epidermis level, without damaging the skin, therefore with a limited downtime.